This headlight trim has a 2 1/2 inch cut in the pot metal. We make the repair with Super Alloy 1, grind the trim down, and show the after shot–front and back–to demonstrate the penetration capabilities. 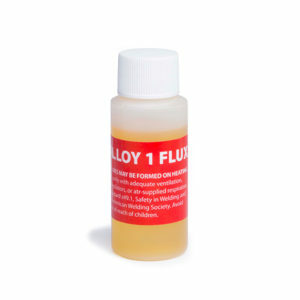 White metal does not change color as an indicator of temperature, so use the Super Alloy 1 flux as your temperature guide. When it turns root beer brown, you’re ready to apply the alloy. If the flux turns black, you’ve overheated it. Simply wash the flux off with warm water and reapply. 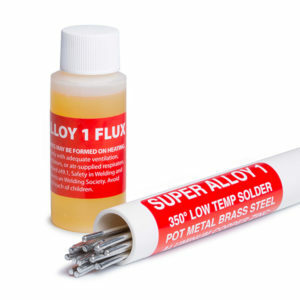 We recommend preparing your part immediately before applying Super Alloy 1, for best results.